This foam insert fits perfectly into the original Star Wars Imperial Assault board games box. 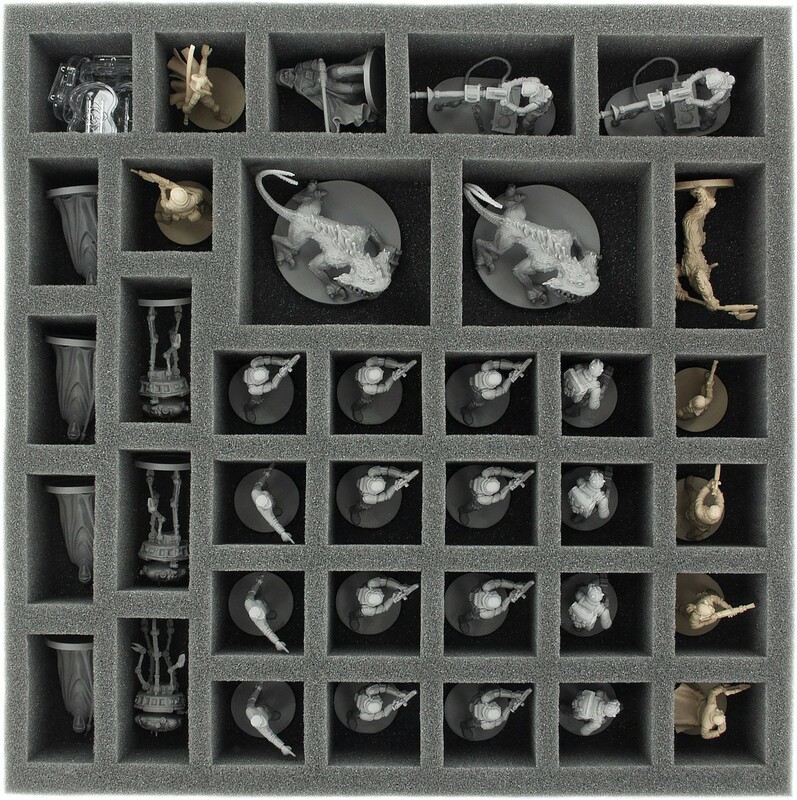 In 36 slots fit the rebels and the smaller imperial miniatures (Stormtrooper, drones, Darth Vader, Jedi, nexu, etc.). 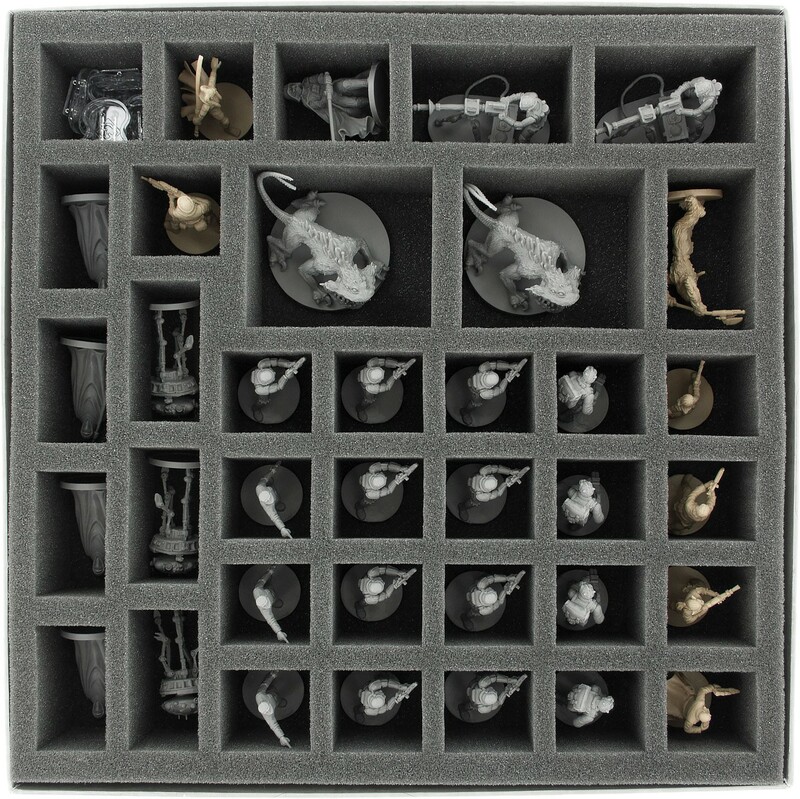 All game miniatures are clearly laid out and padded stored. 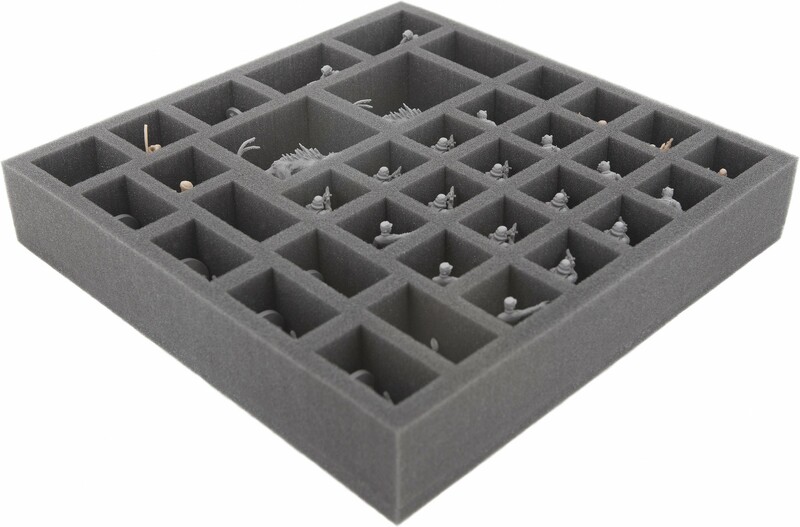 Dimension for this board game foam tray is 285 mm x 285 mm x 50 mm. 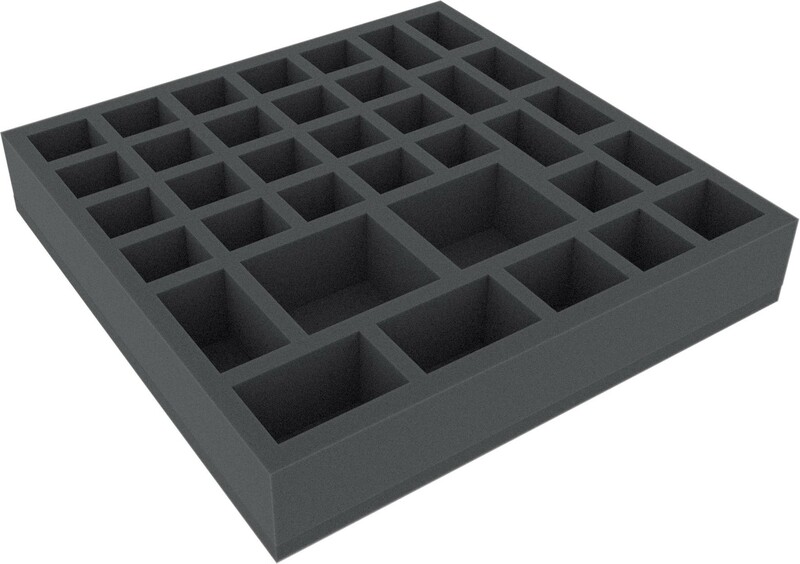 The 50 mm thickness is the result from 10 mm base and tray with 40 mm effective usable height.Ready to use - glued 10 mm foam base. Note! 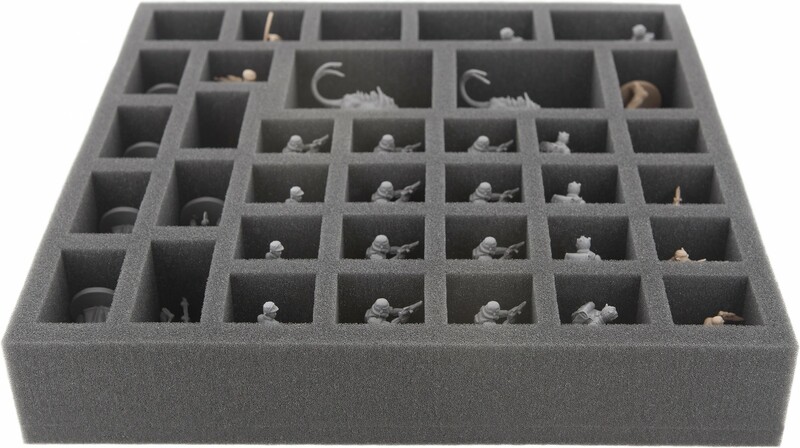 To store all miniatures from this board game box you need a second, somewhat higher foam insert (item number AF085IA08 ). 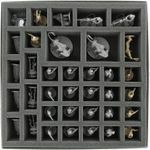 These other foam tray is for the model of AT-ST, the floor tiles, cards, marker and token.